If you are facing an assault or domestic assault charge it is crucial that you have an experienced criminal defense lawyer with a proven track record in winning criminal cases. 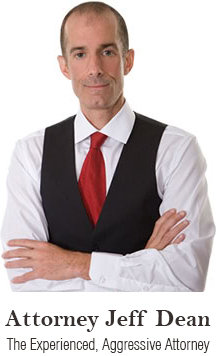 Jeff Dean has that record and he is widely recognized as one of the most respected and successful attorneys in this area of the law. Judges have commended Jeff for his wins and advocacy, and other attorneys often call upon Jeff for his assistance in the evaluation of their client’s cases. Time and time again, Jeff has won dismissals for his clients in assault and domestic assault cases. He has had felony assault charges reduced to a simple misdemeanor disorderly conduct, with payment of a small fine as the only consequence. In a felony domestic assault by strangulation case, Jeff persuaded the prosecutor to reduce the charge to a simple misdemeanor assault. Jeff has even won cases where the evidence of guilt was overwhelming. In your case, Jeff Dean will identify the best defense strategy and he will fight to win. Possible defenses are that you acted in self-defense, that the accusations were fabricated, that the state has not proven guilt beyond a reasonable doubt, or that you did not have the specific intent to cause the harm. Under the law you are presumed innocent. Just because you have been charged with assault does not mean you are guilty. To protect your future, call Jeff Dean today: (612) 305-4360. Legally speaking, the definition of an assault is the attempted infliction of physical harm upon another individual, the deliberate infliction of physical harm upon another individual, or simply the infliction of fear of either physical harm or death upon another individual. An assault may also be defined as an unlawful attack or attempt to cause physical injury to another individual using force and violence. If the target was aware of the attack, then it may be considered an assault, whether or not the attempt was unsuccessful. Under Minnesota Statute §609, assault charges are classified into various degrees: Assault in the First Degree, Assault in the Second Degree, Assault in the Third Degree, Assault in the Fourth Degree, and Assault in the Fifth Degree. Assault in the first degree is considered a felony. Penalties include up to 20 years in prison and a fine of up to $30,000. Assault in the third degree is a felony. Penalties include up to five years imprisonment and/or a fine of $10,000. Assault in the fifth degree is a misdemeanor. Penalties include imprisonment of up to 90 days and/or a $1,000 fine. If an individual is charged and convicted of assault in the fifth degree repeatedly, then the misdemeanor may be heightened to a felony, and may result in penalties of up to five years imprisonment and a fine of $10,000. The consequences of an assault conviction can be severe. You could be sentenced to jail or prison, large fines, restitution, treatment and anger management, and long periods of supervised probation with restrictions on your most basic liberties. Call Jeff Dean today at (612) 305-4360 to protect yourself against these charges.